How much can I earn from blogging? 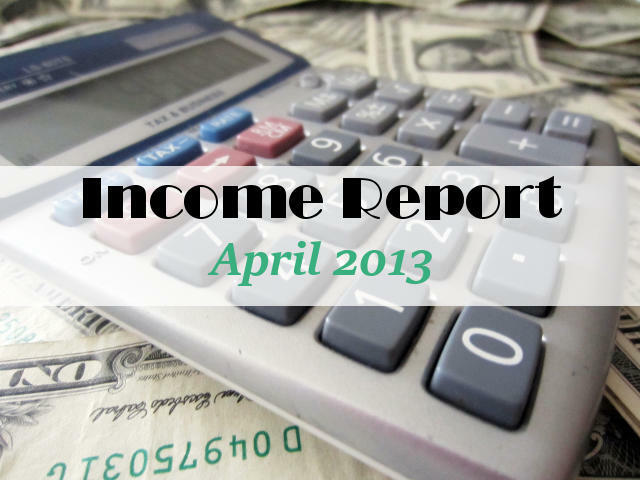 Surprisingly, April 2013 was an exceptionally good month. I returned to work to cover the extended absence of a colleague in my previous job so I had little time to devote to sewing, blogging, advertising etc during April. But I was lucky (for the most part) and my earnings were very good. I learned a big lesson from Google after my Adsense account was disabled partway through April. I had originally suffered the same fate in a previous endeavor with a friend when we tried to set up a website before. You can read about it in my Google Horror Story. This time, my sewing site was the victim of a click-bombing attack – where a person, or automated click-bot, clicks repeatedly on your adverts in an attempt to get your site disabled from the Adsense program for ‘invalid activity’. And it worked – I was kicked out. Why people do this, I really don’t know. But this time I was older and wiser and although I screamed and ranted for a day, I put together a good appeal with appropriate back up data, and lo and behold – Google readmitted me into the program. However, they did zero out my previous 3 months of earning balance. It will be some time before I am confident that my testing and security measures are completely in place before I add the adverts back to my site and I will certainly miss the income from Adsense which had been running at around $8 a day. But I’m just glad to get a second chance and I don’t intend to waste it. So that was the bad luck for the month. The good luck saved my bacon when it came to my earnings for the month of April. One of my vendors from the ShareASale affiliate network had a BIG sale and I was able to quickly get out a mailing to my list and got a LOT of sales over just a few days. Which was lucky because I did nothing to promote any vendors for the rest of the month due to my workload and it was pretty dead. Saved by the sale. That certainly won’t be repeated in May so I expect a big drop in earnings! I also managed to earn a few dollars from my Amazon shop this time around, although most of the sales were nothing to do with sewing goods. What you have to love about Amazon is that people click in to see one product and end up buying 3 completely unrelated ones. They really do cross-sell very well. Assuming the loss of my Adsense account, I started to look at alternative advertising income and I signed up with Passionfruit Ads. They help you in running and scheduling direct sales adverts on your site, so that you can set and forget. You can infill with your own adverts, swap ads for free with other sites at no charge, and they collect the income for you if anyone comes to your site and buys from your advertise page. I’ve sold one small private advert from this so far. I also set up with BuySellAds, although they take a larger commission, but there is a chance to get advertising via their site instead of going out and doing the legwork yourself. I’ve no idea if private advertising will work for my sewing site, or if anyone would be interested, so I’ll report back on this next month. I’m not expecting a great deal from this. Income goal for May- $800 allowing for limited advertising and promoting activity, no Adsense income and no repeat of my great ShareASale income! Find all the info you need to replicate these kind of results on your blog in the subscriber newsletters – look through back issues in the Archive. Thanks for reading – if you have any comments or questions, drop me a message below this post, or send an email via the contact me page and I’ll be sure to answer. Have other blogging friends who might be interested? Share with these buttons – they’ll thank you for it. Thanks for sharing your monthly data. I hope to monetize soon on my new blog, so it is very interesting to see the breakdown of where each portion of income is coming from. I read your post about Google Adsense in April, and I am glad you got it straightened out. Hopefully it will be a good source of income for you in the future. Ditto about your Google horror story. I’m so glad you got it worked out. I worry about my Google Adsense as well. Glad they allowed you back in, but I’m with you, I’d be a bit hesitant. Wow, great post.I’m a newer blogger & this information has been SO helpful. Thanks so much. Keep up the great work! Thank you for posting your info. I’ve applied to AdSense several times now but keep getting denied. I added all their criteria and now it’s another reason! I’m contemplating moving on and just using other ad companies, yet I keep hearing that AdSense is the way to go. Your post makes me think I should just forget them…I dunno!! I would love your advice on this one. Or maybe I should just be patient and apply again later? =) Thanks!! Hi Supermom – Adsense is a bit of a mystery even to those who have been using it for years. And with no real person to give email or phone support and answer questions, no one can be really sure that their policies are and why one site might be accepted while one is not. Yes, be patient, continue to grow your site and apply again in a few months. But in the meantime, I highly recommend Rivit Media as an alternative – they are only for ‘crafting’ blogs and they do require one advert above the fold, but the RPM is very good – my one advert is getting about 87c RPM. A very good alternative to Adsense. Thank you so much Deby! I’m checking them out now! As a newer blogger – I really appreciate your sharing this information. Thanks for sharing at Fluster’s Creative Muster Party! Thank you for sharing this info. I’ve been following. thank you for sharing this valuable information! Google Adsense seems to be a mystery — glad you got a second chance! Thank you for sharing this! It’s really nice to know I could potentially make some money with my blog if I start to figure all this out! I’ll be signing up for your newsletter and following – thanks! My first time at your site. Thanks for being so transparent with your experience. I’m a new blogger and this is very helpful and encouraging. Thanks for sharing. I’m considering setting up a monetized blog besides my homeschooling one, and this sort of information is so helpful! Thank you for sharing ~ I’ve been following for the past few months. I’ve applied to AdSense twice and been declined. I have an amazon ad and a few other but I don’t think anything at all has moved. I guess I am not getting this. I’m visiting you today from Lil Luna. I hope you get a chance to stop by my blog and leave a comment, too! Hi Megin and thanks for dropping by. I’ve had a look over your site and don’t see why Adsense would decline you – but they are a complete mystery in the way they operate and many great sites are declined or later disabled with no real explanation. Don’t stress it – its nothing personal about your site. In fact, you can make money using Rivit as a good alternative to Adsense – I recently published a review of them and recommend you take a look. With regard to earning from your adverts, sometimes it needs a more direct approach than just a display banner. I’m working on a case study example of how to work with affiliate adverts and hopefully you will find this useful. Keep at it – keep trialing and testing until you see what works best for you – have you tried ShareASale yet? Look back through the newsletter archive to learn more ….good luck. Thanks for sharing, really interesting. I too got disabled for Google Adsense but I have no idea how to appeal it and it’s been a pretty long time. so I’m sad I can’t make money that way. Sorry to hear you lost your Adsense – but I’m working on a post about a great alternative for Crafty blogs with Rivit Media. If you don’t know about them already, do pop over and take a look. The payouts are very good. Thanks for always helping with new info for making money. Thanks so much for sharing with Wednesday’s Adorned From Above Blog Hop. Thanks so much for sharing this great info! I love seeing your income breakdown. I haven’t earned anything from my blog yet, but am looking into getting started. I did apply for Google AdSense, but got denied. Do you know common reasons for getting denied? Anyway, thanks again for sharing! Have a wonderful day! Hi Emily. I’m going to take a look at yoru site and if you don’t mind I’ll email you with some suggestions and observations. Its easier for me to look and give you my first impressions than it is for you to try to analyse your own sometimes when you are so close to it. Let’s see what we can do to improve things for you. Wow wow & wow! I have been blogging since 2008 and have never tried any money making ideas. I would LOVE to do something to vamp that situation up! This is such awesome info. Sometimes I get overwhelmed with all the different affiliate programs. I’m so grateful that you break it down like this, go over the details, and add a link to where to go if you want to check it out. It helps so much! Also, can’t believe that happened to you and you had to fight to get your Adsense back!! That is insane!! Anyway, glad you had a good month! Keep up the good work and thanks again! Thanks for this post, I still seem to be having a hard time wrapping my mind around how this all works. I’ve signed up for Amazon and thought I’d be able to set up my own “shop” as a widget on my sidebar but cannot figure it out! I’m going to go and look at your Sew So Easy site and see what you’ve done. You are a natural at this all! Update, I persevered and got an Amazon widget up and going. Thanks Deby for the great posts and encouragement!!! Interesting post. I’m curious, are you making money selling your own work or attracting advertisers to your blog? The only money from actually selling something is for the e-book I sell – 20 Tips for Etsy Success. All of the rest is advertising or affiliate income. Or income for sponsored actions/posts. You can click on each of the underlined headings to get more details of where the money comes from. If you have any questions, I’ll be happy to answer – just drop me an email. Thank you so much for sharing this information. I’m a new blogger and only hope that someday I can actually make a living doing what I love. Until then, you are my inspiration so thank you! Thanks for being so transparent! I learned a lot! Thanks for linking up to Monday Funday! Thanks for talking about your experiences, successes and difficulties–very helpful and informative! I just started trying to monetize my own blog http://101thingstodoinyourcity.blogspot.ca and was denied when I applied for Google AdSense which was very daunting did you have a favourite adsense alternative? Hi Kristen. Its not the end of the world if you don’t use Adsense. There are alternatives. If you haven’t already – do use Infolinks. It’s discreet advertising that lots of people use and it doesn’t cover your site with display adverts. And tomorrow on 17th, I’ll be posting an article about Rivit who I also use for my sewing site. You can apply to them too. And if you are a member of Social Spark, you can also apply for their Izea adverts – I’m trialling that right now and hope to write a review in about a month. Thanks for the advice! I will definately be checking out all your suggestions. Wow, I’m impressed. I use Adsense, but don’t make much money from it. :/ Guess I just have to hang in there and hope it goes up. Thanks for sharing your earnings with Saturday Spotlight. With the number of people I hear about having their adsense money taken, it makes me wonder who actually holds Google accountable? Is it possible that there are not really malicious things going on and they are just taking people’s money because they don’t want to pay it out?